Could AI help treat Motor Neurone Disease? 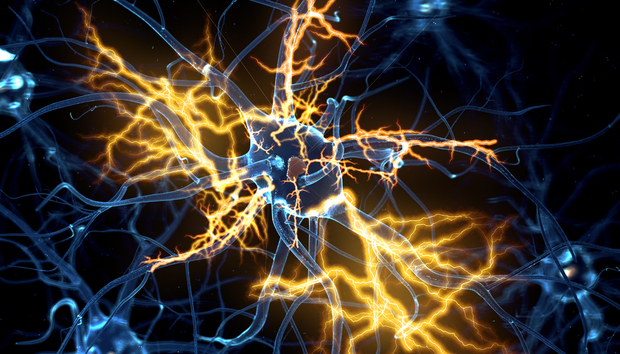 In May, the Sheffield Institute for Translational Neuroscience (SITraN) and BenevolentAI announced a potentially major breakthrough in the treatment Motor Neurone Disease. Discovered through a combination of Artificial Intelligence (AI) and big data, this could deliver a brand new drug to help combat the condition. Dr Laura Ferraiulo, who was the co-lead on this project from SITraN, explains more in the lightly edited Q&A below. What treatments for ALS currently exist? There are currently various clinical interventions to treat ALS symptoms, including non-invasive ventilation and gastrostomy, however, drug treatments are very scarce. Riluzole has been, in fact, the only FDA approved drug available to patients for more than 20 years. A second drug, Edaravone, has just been approved by FDA in May 2017. What might this treatment mean for ALS sufferers? It is still very early days, but the compound identified by BenevolentAI showed very good potential in patient cell models of ALS and in the gold standard model of disease in vivo. If these promising results are confirmed, in the next few years ALS patients might have access to a compound that could slow down disease progression and hopefully improve quality of life. How did this potential breakthrough come about? Dr Richard Mead [co-lead on the project] and I were approached by BenevolentAI to test some of its AI-driven hypotheses in our ALS disease models. We tested four different compounds, two targeting pathways that we had already identified as potential therapeutic targets, and two with targets that were new to us. The screening in patient cells gave the most promising results for one of the newly identified targets. We then tested this compound in the golden standard model of ALS and observed a significant delay in disease onset. We are now trying to identify the exact mode of action for this compound in order to optimise its delivery and efficacy. Have there been any issues getting permission to work with data? No, not at all. Our collaboration with BenevolentAI is a great partnership, where expertise from both sides participate in the discovery process. Compound names and predicted targets were disclosed to us from the beginning of the collaboration. What are the next steps to get this treatment tested? First of all, we are working together with BenevolentAI to understand in depth all the targets of our lead compound, and identify the exact mode of action. This will help us develop a drug that has the highest efficacy and the lowest possible side effects. We will then optimise compound dose and mode of delivery to obtain the best possible results once in clinical trial. This optimisation process, with the validation tests, might require up to two years. Once we have a strong proof of concept, we will be able to approach regulatory bodies to start moving towards clinical trials. What kind of timescale are we looking at to find out if this is a viable solution and if so get it rolled out? Within one, or a maximum of two years, from now, we will be able to determine if this compound is worth pursuing or not. There are a number of companies using big data and AI in the field of medicine - what are the wider implication of all this? From our perspective, AI will lead to a massive acceleration in hypothesis generation and new findings, thus leading to faster drug discovery. Processes that now take weeks, months or years even, might take only a few hours. For what we can foresee, AI already can and will be able to perform a number of complex in silico tests, that will not only save a large amount of time, but also money, thus releasing funding for further scientific and clinical advancements.